Since the dawn of time, aging has been considered one of life’s greatest taboos, even though everyone on this damn earth goes through it. Slowly but surely, society’s views are changing, and more people are realizing that getting older doesn’t necessarily mean the end of the world. 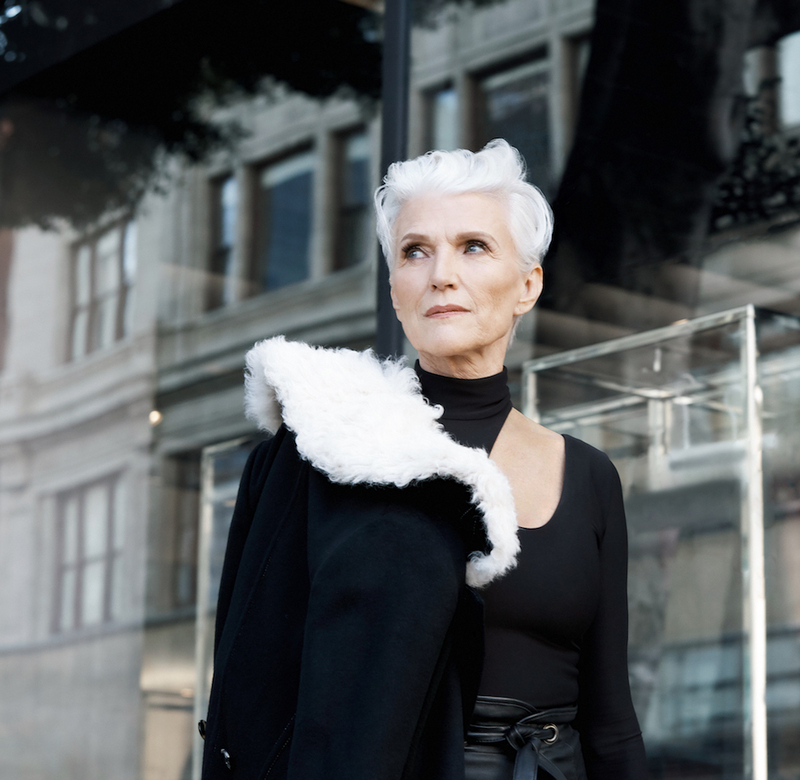 You can be 65 and learn a new hobby, find love, or, in the case of Maye Musk, become the face of a world-renowned cosmetics company. Musk, 70, is a model, dietician, nutritionist, and, course, the mother of famed entrepreneur Elon Musk. (Oh, and she also made an appearance in Beyoncé’s video for “Haunted.”) In 2017, she joined the CoverGirl family, becoming the brand’s oldest-ever spokesmodel. To celebrate the new additions to CoverGirl’s Simply Ageless collection, we talked to Musk about her views on aging, how Instagram helped her career, and what piece of advice she’d give her younger self if she could. HelloGiggles: What’s your experience been like as a CoverGirl? 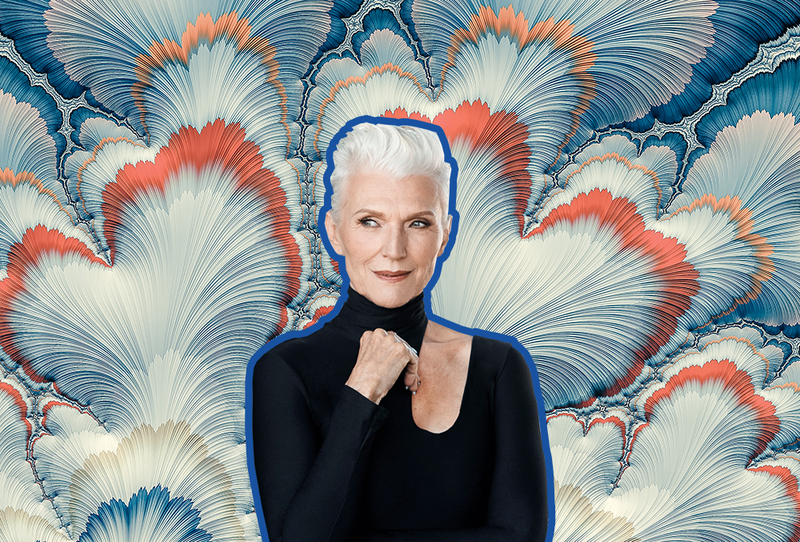 Maye Musk: Well, since I’ve been a CoverGirl, I haven’t had to go for auditions or castings; people just book me. They are so excited that a woman of seventy is doing a makeup campaign. And then, some people say, “Oh, I’m no longer scared of aging.” Or you’ll get somebody saying, “I can’t wait to look like you in 51 years,” and then you realize they’re 19 [laughs]. I’m beyond thrilled because I didn’t dream of being a CoverGirl, you know? Who would think that I could be? No point in dreaming if it can’t happen. And then it did [laughs]. So, as I say, women of all ages are really appreciating the work that CoverGirl is doing. HG: On the topic of aging, have your views of it changed over the years? Do you still feel the pressure that society puts on women getting older? MM: The reason that I haven’t is, because, you know, I’m a scientist; I’m a dietitian, and I had a private practice for 45 years. As a dietitian, no one comments on your looks. Perhaps if I were looking like 50 when I’m 70, then there’s more competition if I tried to look younger. [Laughs]. I must say, makeup does make me look younger, and good lighting does as well, but bad lighting can make me look 95. People also like it when they see those wrinkles. And my mom never had a problem with aging. We never discussed it. And she died at 98 a very happy woman. So, as long as no one asks me to have less wrinkles, I think I’m on a roll. HG: What are some of the biggest differences you see in the modeling world now compared to when you started at 15? I’m sure social media is a big one. MM: Until about five years ago, you depended on your agent. Now, we have a bit more power as models. I have a really great agent at IMG—I’m really happy about that. But, many of my jobs, they booked it because of my Instagram account. The difference when you’re 15 is that you do your own hair and makeup and you carry your own shoes and accessories. I even had different wigs that I could put on between runway shows, and you often would model about six outfits. Nowadays, it’s one outfit. In the past, it was six models, and everyone wore six outfits. Now, it’s a hundred and forty models; we all look absolutely magnificent. There’s a whole team to put us together. There’s no smiling and posing; you walk straight-forward and more sophisticated. So that has changed. Now I’m doing a lot of editorial, which is very different from catalog and commercial print, where you are smiling and you’re posing. I do a lot of dancing, and I’m not a dancer, but they make me dance a lot. Luckily, as I got older, they always needed an older model in the runway show. They just wanted to show a bit of variety. And I must say, since my fifties, they’ve been really enthusiastic about an older model. So, I’m loving it! HG: Back to your beauty routine; how has it changed over the years? MM: A long time ago, we didn’t have SPF, and we baked in the sun. So now, I always wear a hat. I wash my face, and I don’t go to bed with makeup on. I use an oil makeup remover because you don’t want to tug on your eyes too much, especially if you’ve done a big red carpet walk, and you have a lot of makeup on. Soap alone won’t get it off. But I have serious soaps I use to wash my face because [laughs] being a CoverGirl, people send me gifts. Before this, I could barely afford it, and now it’s quite wonderful. So I wash my face, put on an eye cream, and then moisturizer, and I always need a lip balm on; my lips get very dry. My beauty routine is also eating well, because, well, first of all, I’m a dietitian. Secondly, I’m not a naturally lean person; I have to be very careful about what I eat, and I eat very healthily at home; a lot of fruits, vegetables, you know, high-fiber cereals, whole wheat bread, and low-fat milk. HG: How do you use the new Simply Ageless line in your routine? MM: Usually, I start with the Simply Ageless Anti-Aging foundation products. I never thought that I needed a primer before I do a foundation, but when you use it, it just makes your skin feel moist, you know, really hydrated. And it preps it for the foundation. Then I use the Simply Ageless Instant Wrinkle Defying Foundation, which is a compact and has SPF 28. So, it’s good for when I walk my dog in the sun or if I’m in another city walking around. Then the liquid foundation, which I usually use in the evening to cover my dark spots, and the nicest thing is that it doesn’t sink into the wrinkles. You know, in the past I had wrinkles, now I don’t [laughs]. I also use the concealer for sun spots because we didn’t have sun protection when we were younger. It also hides dark circles and brightens up the area around your eyes. HG: What is some advice that you wish you could give your younger self? MM: I would say mix with nice people, all the time. Because, either in a business or a personal relationship with mean people; you stay in it too long, hoping you can change them, and you can’t, and you go through a miserable time. So I’ve learned that quicker in situations now, to leave so there’s less pain and less misery, [and] maybe that’s something I wish my younger self had known.